Yes, your Grams is getting to the point in her life where she needs a little help stepping up into your new SUV or maybe your old truck. So you go to your favorite big box store and look at the step stools they have to offer but none of them seem to be exactly what you were looking for. 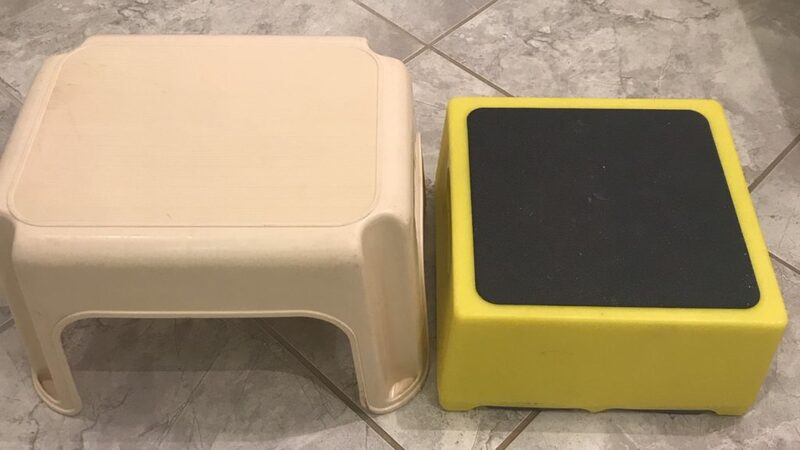 If you’re not sure which of those step stools are right for your Grams, you actually can congratulate yourself on having great instincts because MOST big box stores actually don’t care a step stool that’s right for seniors. Don’t worry, we’re here to guide you through do & don’ts of buying a safe step stool for your Grams. The truth is, finding a safe and sturdy step stool is not as easy as it might seem. Your Grams has some physical challenges and I doubt you can buy one at a chain store that will be the safe for Grams to use. 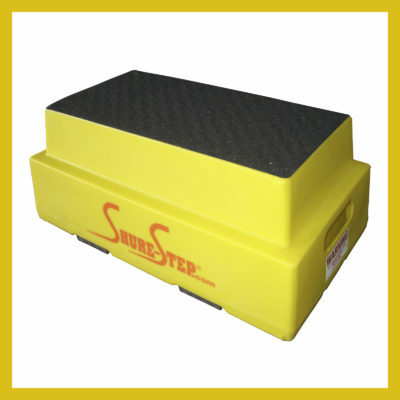 Load Rating – Look for the maximum load the step stool will hold, specifically a 500-pound rating. Remember, the load equals the person’s weight plus whatever the person is carrying. This may seem like overkill if your Grams is frail, but you don’t want to take any chances with a flimsy step stoo. Non-Slip – Top and bottom. 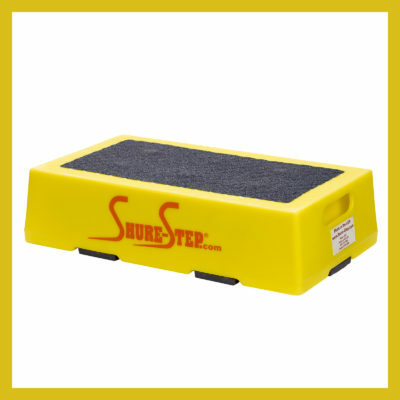 Look for large rubber pads on the bottom and a rough grip on top. Folding steps – DO NOT BUY! Folding step stools will wear out at the hinge points and break at the most inopportune moment, like when you are standing on it. Legs – Just Don’t. If your Grams is visually impaired she might get her foot caught under the step stool, and take a fall. Legs are a fall hazard! 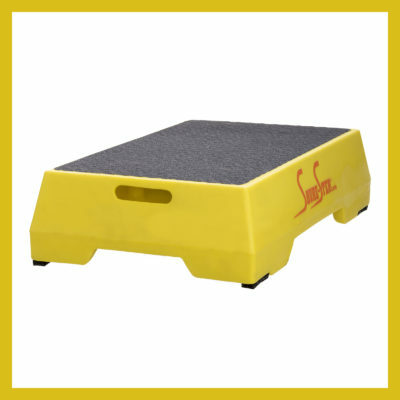 Color – Pick a step stool that has bright contrasting colors so your Grams can easily see it. If you have ever taken a senior who is not feeling their best to a doctor’s appointment, you can appreciate that your loved one will have an even harder getting into and out of your vehicle, especially an SUV, in this condition. I opened the passenger door and Gramps put his leg out to stand up and was trying to find the ground with his right foot pointed at the ground. He was so close to touching the ground, only missing it by maybe 2 inches….so close, but yet, so far away. 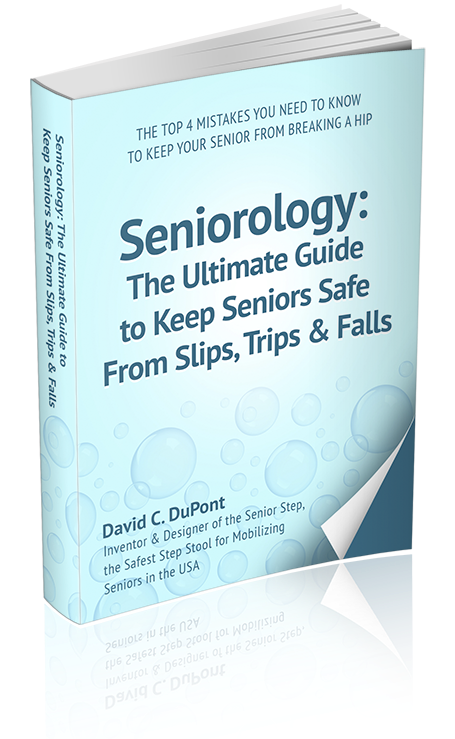 If you’ll just take a few moments, sit back and observe the obstacles that make life tough or annoying for your senior, you might find that it’s doing the little things for your loved ones that make the biggest difference in your senior’s life. With any luck you may need the same type of help from someone when you are older!